There are many fascinating forensic subjects for a crime writer to research. For my crime novels I’ve researched gunshot wounds, death by crossbow, poisons, blunt force trauma, suffocation, fire and more. I am very grateful to all the forensic scientists, Hampshire police officers and the Hampshire Fingerprint Bureau and crime scene investigators who have helped me. 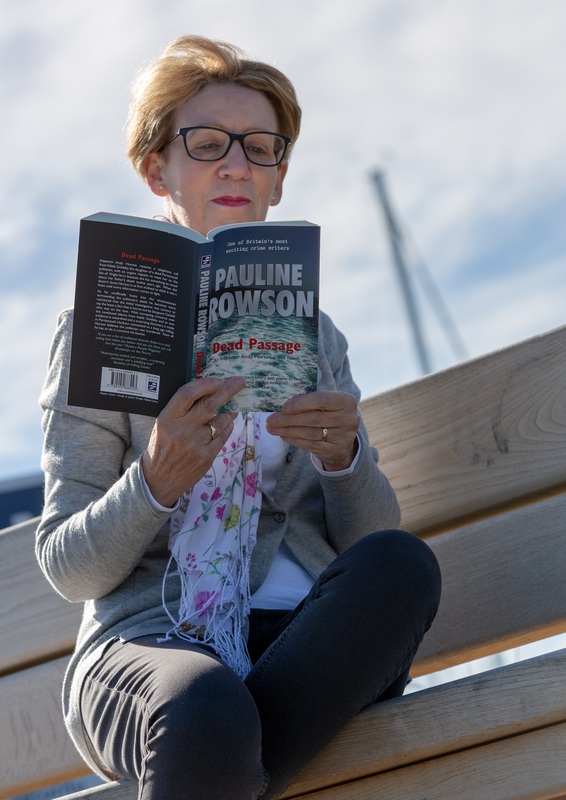 Here is some information on blood pattern analysis which I've gleaned for both my Detective Inspector Andy Horton crime novels set in Portsmouth and the Isle of Wight and for my Art Marvik mystery thriller series set along the South Coast of England. Blood can leave the body in many different ways, depending on the type of injury inflicted. It can flow, drip, spray, spurt, gush or just ooze from wounds. passive stains, drops, flows and pools, and typically result from gravity acting on an injured body. transfer stains result from objects coming into contact with existing bloodstains and leaving wipes, swipes or pattern transfers behind such as a bloody shoe print or a smear from a body being dragged. projected or impact stains result from blood projecting through the air and are usually seen as spatter, but may also include gushes, splashes and arterial spurts.